Blood biomarker testing is an inexpensive and simple method for assessing health and athletic performance status. Unfortunately, many athletes don’t know the reasons blood testing should be an essential part of their training plan. If you’ve been confused about this testing or want to better understand how it can help you, take a quick read to understand more. The question may be better posed as “Why not?”. If you invest a significant amount of time and resources in training, coaching, gear and accessories needed to train and compete, blood testing is highly worth the investment and can make a big difference in the “inputs” and “outputs” to your training efforts. The testing can reveal many insights related to training tolerance, training recoverability, as well as hormonal imbalances, inflammation, and micronutrient deficiencies. The test results allow the athlete and support team (i.e., coach, athletic trainer, sport physician, sport dietitian, etc.) to make relevant and necessary changes to the training plan, dietary pattern, and dietary supplementation. This has a potential impact on areas such as illness, injury, anticipated training adaptations, and your readiness to give it your all on competition day. Part of what makes the Athlete Blood Test (ABT) service unique is that your results are not interpreted the same way as your general physician would. Rather, your results are put into the context of athlete norms for optimal performance. In other words, how do your results and the type of athlete you are compare to what is athletically optimal? Additionally, a member of the ABT Sport Science team personally reviews your results, along with your submitted questionnaire, so that individualized recommendations are provided in a detailed report. There is nothing on the market that compares to this service! Who Should be blood tested? Even if you have none of the above, the testing service can provide “peace of mind” that your body is responding well to the training demands and your current nutrition pattern. It is one less worry to know more objectively your body has less chance of breakdown and getting into a “health hole” from which it can take a long time to recover. HOW Is blood testing done? You don’t need a doctor’s order or insurance approval to pursue blood testing through Athlete Blood Test. There are several blood panels to choose from depending on where you are in your training season, your health history, and interest in consulting with the ABT Sport Science team or Sport Dietitian for an even higher level of personalization. 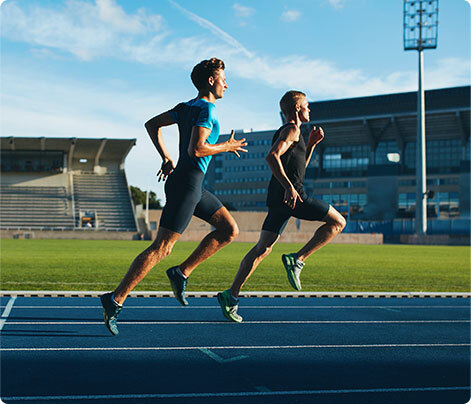 Blood biomarker testing and the service offered by ABT can reveal many insights as to hindrances or inefficiencies that can slow an athlete’s course of training and readiness to compete. Just like endurance athletes should be doing periodic performance testing to adjust heart rate or power zones for training, blood testing and monitoring need to be a priority more than once per year. The ABT service is your best route to get athlete-specific interpretation and an individualized assessment to keep you moving forward – fit and healthy! Hemoglobin is a protein in the red blood cell that help transport oxygen. Many athletes, especially runners and other endurance athletes are concerned about their iron levels. This is because iron is a crucial component of hemoglobin. Anemia occurs when hemoglobin levels decrease below normal range, with the most common cause being iron-deficiency. For a more detailed description of iron deficiency in endurance athletes read our blog post here. How does running impact hemoglobin levels? 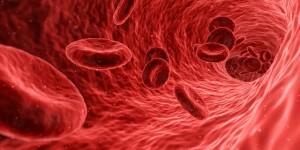 Endurance training increases production of red blood cells and hemoglobin, along with an increase in plasma levels (the fluid that transports cells in the blood). (1,4) Often the plasma levels increase more than hemoglobin production in runners and endurance athletes, the concentration of hemoglobin may temporarily decrease. (2,5) Alternatively, dehydration and sweat from exercise can show up as a temporary rise in hemoglobin. (3) Variation in hemoglobin can occur due to many factors, it is important to interpret hemoglobin values alongside other biomarkers such as red blood cells, hematocrit, iron, ferritin and other micronutrients essential in red blood cell production. Interested in finding out your hemoglobin levels and related biomarkers? We specialize in biomarker analysis aimed directly towards improving athletic performance for runners and endurance athletes. Our experts analyze your hemoglobin levels along with other key biomarkers. Learn more about our panels here. Mairbaurl H. Red blood cells in sports: effects of exercise and training on oxygen supply by red blood cells. Frontiers in Physiology. 2013;4:332. doi:10.3389/fphys.2013.00332. Bartsch, P.; Mairbaurl, H.; Friedmann, B., Pseudo-anemia caused by sports. Therapeutische Umschau. Revue therapeutique 1998, 55 (4), 251-255. 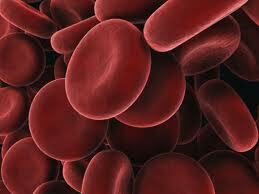 Red blood cells are one of the most important physiological components for athletes, especially endurance athletes. These cells are responsible for carrying oxygen to the body’s tissues (including muscles). Without adequate oxygen delivery, muscles cannot perform well. When red blood cells become too low, a person becomes anemic, which is characterized by extreme fatigue. Anemia and “pre-anemia” are somewhat common in long-distance triathletes, runners, and cyclists. This is because of a higher turnover rate of red blood cells. The red blood cell turnover rate (rate of cell death and reproduction) is higher in endurance athletes. Triathletes are especially prone to a high red blood cell turnover rate due to the demands of participating in three sports and one of those sports being running, which is a high impact sport. During endurance events, athletes require a rapid uptake and then delivery of oxygen, which requires adequate numbers and function of red blood cells. With the high demands placed on the red blood cells, and the increased breakdown of red blood cells (RBC’s) due to stress on the cells, this predisposes endurance athletes to dropping RBC numbers, which will ultimately decrease performance. However, in a well adapted endurance athlete, the production of new RBC’s also increases in order to compensate for the increased death rate. This creates an environment where the majority of RBC’s will be younger cells, which have shown to be more efficient oxygen carriers. But not all athletes adapt well, which is why myself, and many others recommend blood test monitoring during training. By monitoring RBC numbers and seeing the size, shape, and volume of the cells, we are able to easily view these adaptations and ensure they are occurring appropriately. There are interventions that can be implemented (that are legal!) if the adaptations are not occurring. When looking at RBC indices on blood test results, much of the focus should be on the MCH, MPV, and MCV numbers. These are indicators of the health of the RBC’s. A high MCV can indicate folic acid or B12 deficiencies, among other things, while a low MCV can be an indication of an iron deficiency. In summary, the RBC turnover rate is higher in endurance athletes, especially those training at higher intensities and longer distances. For these athletes, it is beneficial to monitor the red blood cells to ensure proper adaptation is occurring. PLEASE NOTE: There is much more to reading blood work for endurance athletes and this should only be performed by a practitioner trained in working with endurance athletes, as the blood findings often have false positives and “within normal limits” may not apply to the athlete, depending on the intensity and number of hours training per week.